The 2nd generation of the MINI or "BINI" was a complete redesign of the vehicle, including a new engine called the n14. This change happened between 2007 and 2009 depending on which specific MINI model, and included the switch from supercharging to turbocharging for the "S" model performance packages. The new engine and turbo layout provided better fuel economy and better power, but like all designs it has a few weaknesses. 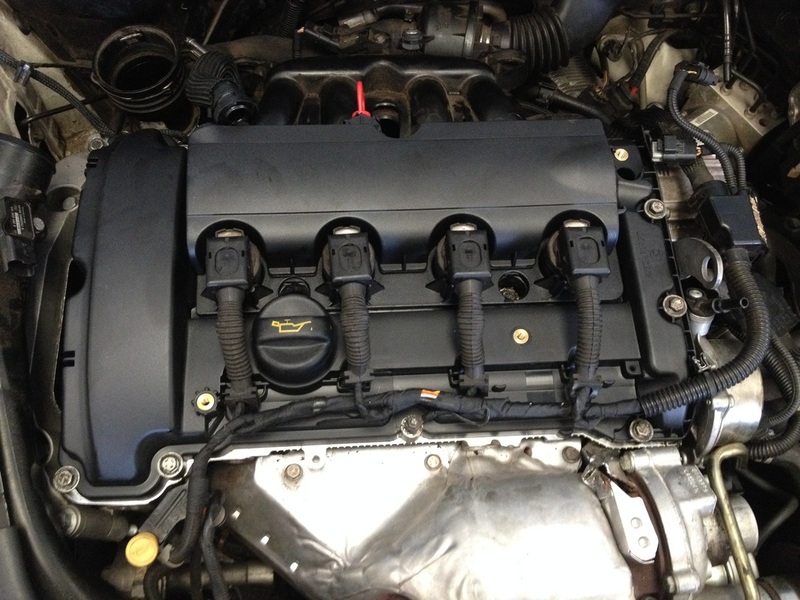 Many owners find that after a while the throttle response and power of their S begins to suffer. As time goes by this issue also grows to include lower fuel economy, rough idle/cold start, rough running, and other issues as well. 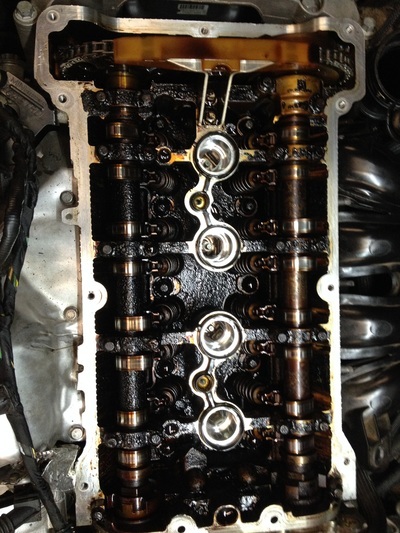 There are a few other things that can cause this, but one of the most common is thick carbon/oil build up in the intake tract, specifically on the backs of the intake valves. The issue can affect standard MINIs or turbo charged variants, but is far more common on turbo models due to their direct fuel injection. This is especially problematic for those drivers who make frequent short trips where the engine is never fully warmed up, and is further explained here. 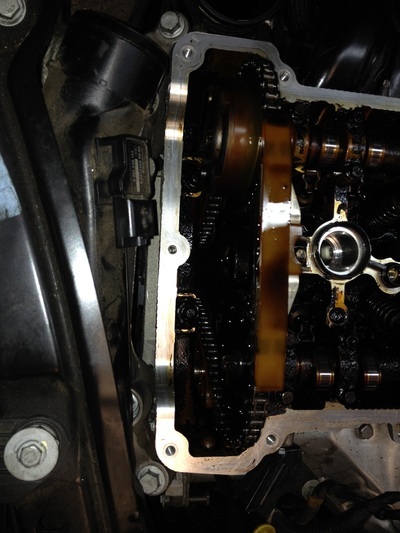 The main cause of this build-up is the design of the PCV or "positive crankcase ventilation". It can also be referred to as CCV. This ventilation of pressure is normal, but the design of this engine allows too much oil vapor/combustion by products to go back into the intake where it can rest on the backs of the intake valves and build up in layers. Most modern turbo charged cars use direct injection for better turbo charging performance, versus the older port injection method. 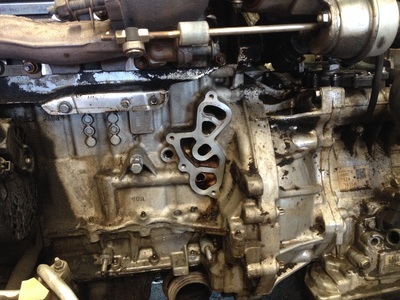 While this new method is better for performance, it also means fuel is not sprayed onto the back of the intake valves. 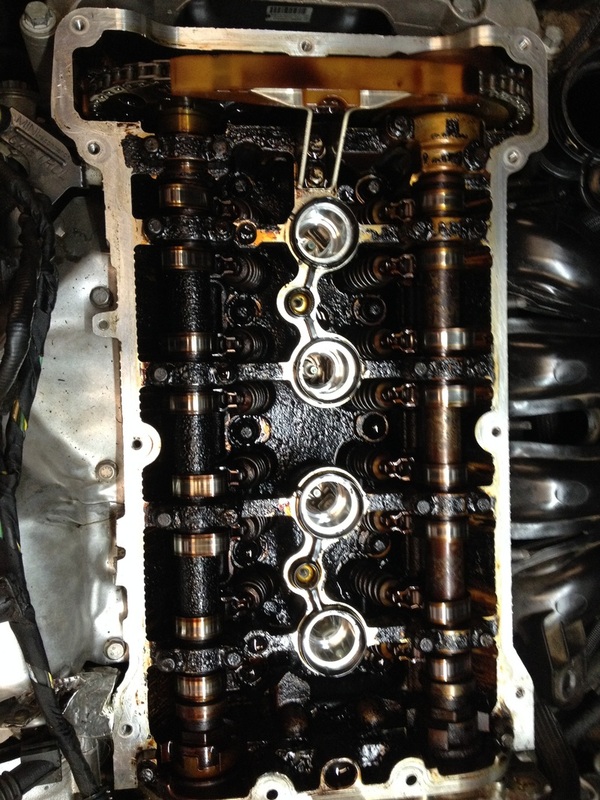 That fuel acts as a cleaner that removes the built up layers of gunk and carbon from the intake valves and ports. With out the fuel serving that purpose, direct injection cars need to have the carbon periodically cleaned as part of their regular maintenance. 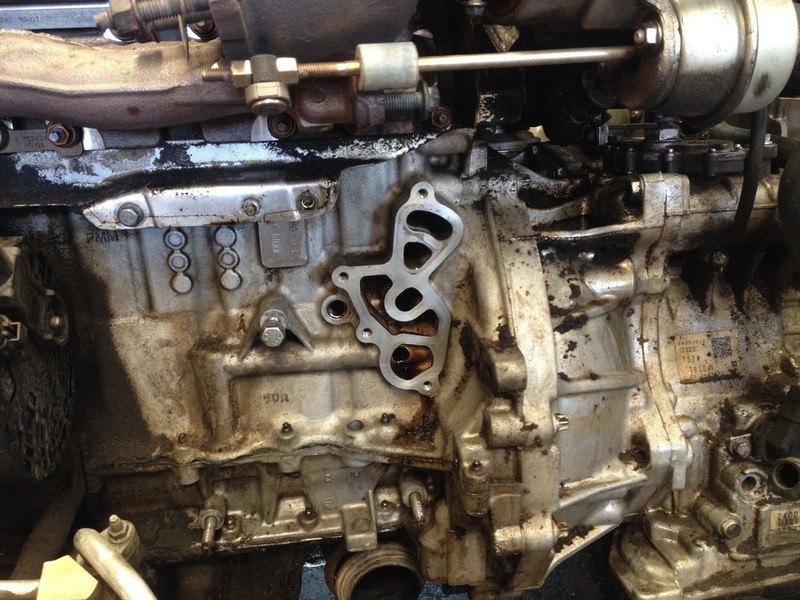 Eventually all cars with this engine design will probably need to have the intake valves cleaned as part of their regular maintenance cycle, but there are some ways to help slow the process. One of these methods is called an oil catch can. 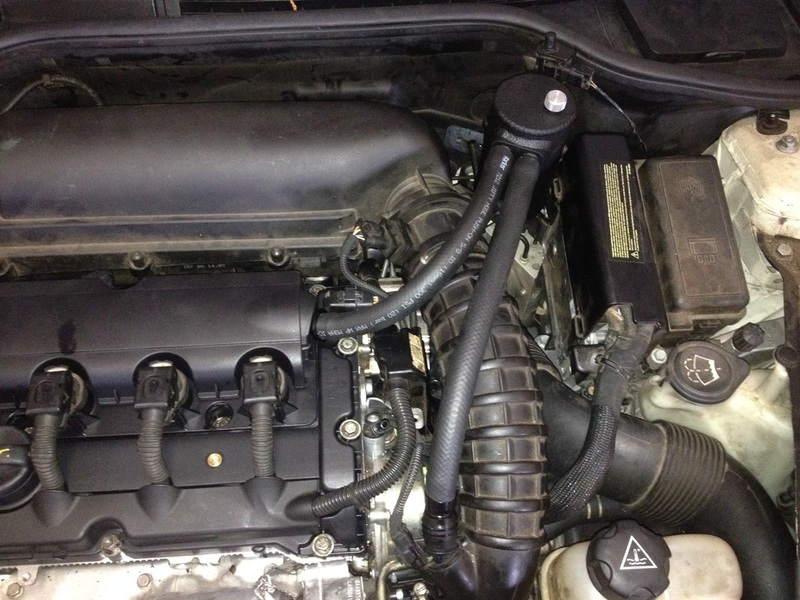 This can intercepts the air coming from the engine and removes oil vapor before the air continues into the intake. Below are some pictures of an oil catch can installed. This catch can is actually designed to intercept air flow from the head before it reaches the turbo feed, but the concept is the same. It will serve the purpose of keeping oil out of the turbo intake, intercooler, and eventually the intake manifold/backs of the intake valves. This car may also benefit from a second catch can intercepting oil vapors going to the intake manifold directly. The MINI and MINI S of this generation can develop oil leaks in a few areas. 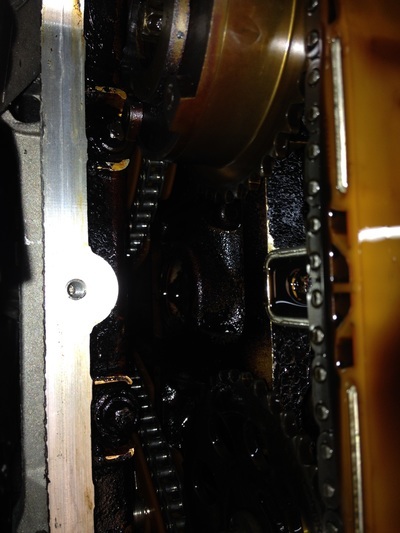 The main ones are the turbo oil line fittings and the oil filter housing, but leaks around the cam cover are not uncommon. The plastic cover is known to crack and warp from heat exposure since it sits very close to the turbo. 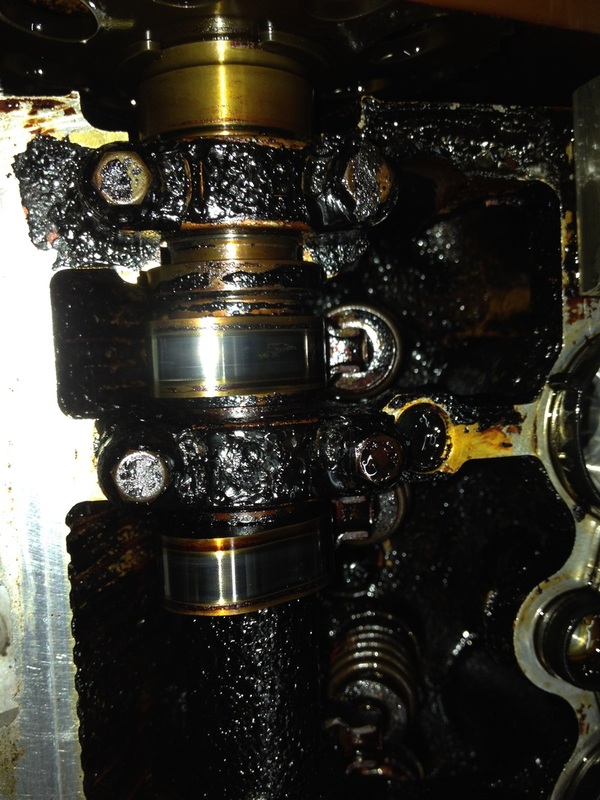 Oil drips are annoying and dirty, but the main issue is the potential for oil to soak into components that are not designed to be soaked in oil, causing a premature failure. The pictures and video will help explain where they can be located, and the process of fixing them.